Partner with BLM personnel for an adventure along Crazy Woman Creek in Johnson County, Wyoming! 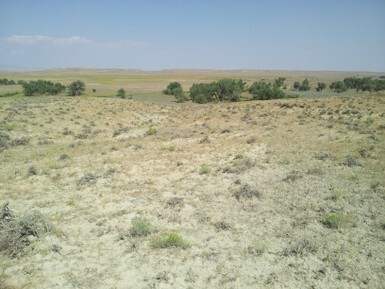 Located just 12 miles southeast of Buffalo, the Crazy Woman Creek crossing of the Bozeman Trail is the scene of several skirmishes between the US Military and Sioux and Northern Cheyenne forces during 1866. Our goal during this project will be to find evidence of these skirmishes, and campsites along the Bozeman Trail to enhance public interpretation. Participants will conduct both pedestrian survey and metal detection survey to record historic and prehistoric artifacts and update information with newly-produced maps, digital photographs, feature drawings, and artifact inventories. You will get to view and experience the landscape of the 1860s frontier, which is largely unchanged despite the passage of 150-plus years! So, join us this July as we hike through the history of Wyoming!